One of the many moments of excitement is walking around and noticing little details. Some years ago (around 20) I used to go to American Hosta Society Conventions. Each of these conventions always featured a free convention hosta to those attending. These hostas, I believe are rare. One of them in my garden is Bob Solberg’s Hosta ‘Party Favor’. It is not variegated so you might not notice it. The leaves are a mid gray and they are nicely ruffled. Today I noticed the yet to open flowers on the scapes. 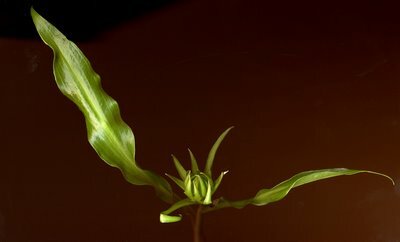 A scape is the stalk on which the flowers emerge. There are those who say that hosta flowers are the least interesting feature of the plant. I do not agree. In this blog I have scanned rose blooms before they open. Those of Gallicas are particularly neat as are those of moss roses. Many hostas have brilliant white flowers with lots of scent like the species Hosta plantaginea. It is sometimes called the August Lilly. The white of these flowers are startlingly white, almost fluorescent. 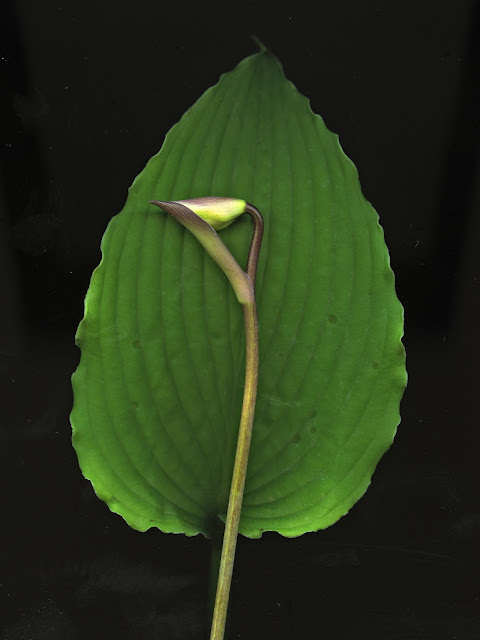 But hosta flowers can be beautiful before they even open. Some of the remind me of the Martian weapons seen in George Pal’s 1953 film The War of the Worlds or of little birds.